Although I know a majority of women who work in publishing, it does sometimes seem that the positions of power are often held by men (but obviously this isn't always the case). I have no idea why the gender balance is like this. Perhaps it is simply a case of slow progress and in ten-twenty years (or more), the issue won't even seem an 'issue' because it will be more even. As a woman, I do worry that things such as pregnancy and maternity leave make us more vulnerable in the workplace. With a majority of women, they will have to take leave at some point and in this case, despite the legislation that has been put in place to protect women, is it always the case that they are protected? I've heard several stories from women who have become pregnant who have been made to feel guilty, sometimes forced out of their roles in an underhand way. However, I'm also sure many women have no such problems and they are treated completely fairly. I am merely speculating as I have no idea but there is part of me that worries that women may never have the same success of men due to mere biology. Whilst this is my fear for womankind, it is obviously important that the women we currently have in the creative and cultural sectors are recognised. Obviously, as this list is suggesting, it is not key to simply promote women for being women - they need to promote the women who are working hard and achieving within these sectors. More than anything, they deserve some recognition. In another sense, it lets the younger generations know that women have a place too and they can achieve high if they work hard and believe in their abilities. Very positive indeed and I'm glad to see it. I am particularly excited about Ian McEwan's new offerin and Jon McGregor's new novel whose debut 'If nobody speaks of remarkable things' was an amazingly detailed portrayal of an incident that changes the lives of everyone on one street. Much recommended anyway! It's good to have a list of books which are coming out anyway as it's sometimes hard to know where to start. this will be the last chapter I will post so enjoy! Highbury and Islington station. 15:30 Sunday. It is Daniel’s handwriting. Thom recognises the way Daniel crosses his T’s with slanted lines, the way the top of his zeros never quite meet. Not meet, met. Daniel won’t be in the present tense anymore. At this, the note in Thom’s hand starts to shake and he buckles onto the bed. Thom supposes he should know better than to snoop in Daniel’s things. Looking in Daniel’s things is similar to how it had been trying to relate to him in life. Thom feels like he is swimming against the current and he has found a small piece of flotsam but it instantly falls apart. This note could be written in Chinese, all the sense it made. There are so many drawers in Daniel’s room, small ones for tiny secrets, large ones with small compartments inside; large ones ordered in such a way that no one would dare touch a thing. Thom can smell Daniel’s authority. Invisible foot soldiers are standing guard around the room, willing to die in order to protect his classified information. Yet here Thom is, having been compelled by the only drawer half open, like a partly opened wound. He shouldn’t be in here anyway, as Aunty Val and Richard haven’t even managed to open the door a crack. He is trespassing because he knows Daniel won’t be able to stop him. He wants to see the magician’s secrets that have bemused him for so long. He has poked around in this drawer and his hand has seemingly come out dripping with blood and sticky with pus, and all he wants to do is stuff everything back inside and close it up. He refocuses on the note. This is the time and place he died. Thom shivers and tosses the note away at the thought. Yet moments later, he slowly leans closer to it and re-reads it at least ten times. He is a mouse tiptoeing around a mousetrap. What do these words mean? Was Daniel meeting someone? And were they involved with his death? Was it suicide even? Or is this merely a coincidence that he wrote down this time and place, when they just so happened to denote almost to the minute, his death? Thom feels his stomach groaning in part shock and part confusion. He rushes to the toilet and vomits. This has happened before, only a few times in his life – well, the worst times if he is honest. However, although he has clearly vomited up most of his breakfast, the questions remain inside Thom like ulcers, nagging and ugly. He washes out his mouth with cold water and makes his way back to Daniel’s room. The note is still there. Thom doesn’t know why the note shouldn’t be there still but perhaps he would prefer if it would disappear; leave him alone to be sad about Daniel. The last thing he needs is more questions. Whenever somebody dies, there are enough questions anyway. All he can think about is the last time he’d been in the hold of this endless interrogation, when he’d just turned twelve, and both his parents hadn’t come home. He’s vomited then too. A few times in fact. Oddly enough, this room is where Thom was transported that night. He vaguely recalls Aunty Val kissing him goodnight whilst Daniel watched from the doorway, having been evicted for the night to the sofa. Thom felt unsettled then by the clatter of the railway that ran behind the house, but over the course of his adolescence it became as natural as birdsong. In this moment however, the sound of the railway makes him feel sick. Although thankfully, he has nothing left to eject. He looks down at his suit and seeing a sick stain on his left cuff, rubs at it anxiously. If he turns up at Daniel’s funeral covered in sick, surely he may as well smear it over the coffin. After all, they were more than just cousins, yet not quite brothers. Now that Thom thinks properly, he wishes he had known Daniel as well as he did Richard. Although, he and Daniel were the same age and even shared the same birthday, it seems these things merely gave them more reason not to bond. Instead, as soon as Thom arrived after his parent’s deaths, he and Richard, who was two years older, fell into a closer friendship. Thom tried with Daniel, yet Daniel didn’t seem interested. Whenever Thom pictures their shared birthday parties, Daniel is set back in some way, a step further from the table where everyone was singing happy birthday or at Christmas, Daniel waited until everyone else had torn at their presents frantically and only then, he carefully chose one to begin with. And what is the last thing he had said to Daniel? He searches through his memory and can only come up with a brief conversation at Richard’s last birthday party. Daniel was standing by the front door. They exchanged pleasantries about general health and jobs. And what is it that Thom said to him? His last proper words to his cousin; face to face? “In the kitchen”. He nods towards the house. His smile acknowledges what they both feel; a need to find an exit as fast as possible, a sad knowledge that they will never linger with each other. Aunty Val is their only real bond. Yet Thom didn’t speak to him later. And he never would again. Of late, I've constantly found myself exhausted. After work, in the mornings, at the weekends. So when, oh when, am I supposed to write my next novel? After I found out my first novel, Ellipsis was under offer, I started two new novels. I wrote about 7,000-10,000 words of each and then came to a stop. Whenever I do get onto my laptop, I manage only a paragraph or two and I'm beginning to wonder, what is my problem?! 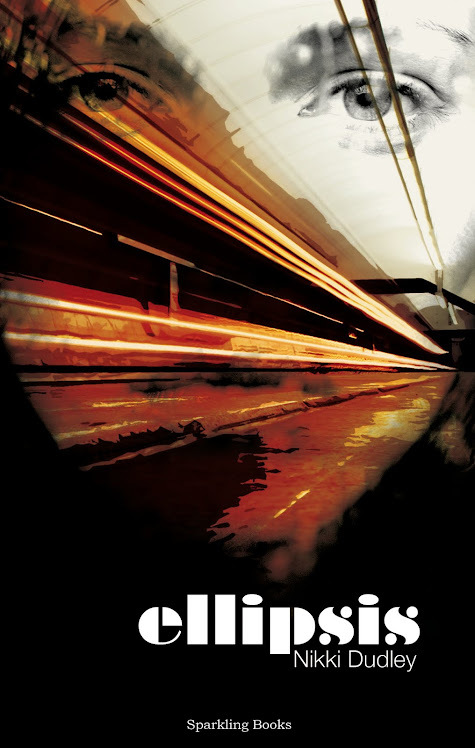 I can't tell if it is the adrenaline from getting Ellipsis ready for the publishers that stopped me. I got so wrapped up in the characters again when editing, I found parts I needed to refine, I found mistakes I hadn't noticed... All of it got me totally consumed once again. And at the same time, it almost felt like my characters were more real than ever. In 6 months, other people will hopefully pick up my novel and read about them, even form a connection with these characters? Therefore I wanted it all to be as good as possible. I hate when I'm reading a novel and it lets me down with a stray comment which doesn't fit, a description which is overwritten, bad dialogue. It may sound picky but really I'm quite a nice reader, I look for potential in most things. I also give writers at least two chances, even if I think the first book I read by them was average. So will readers be kind to me? Who knows. I'm hoping my publishers will spot anything else but there's bound to be something, after all, no one is perfect. The daily newspapers are printed with mistakes in them every day. I find mistakes in novels, granted never particularly big ones, so I will be allowed a minor one or two right? Yes typos are not great but worse than that will be if readers don't enjoy the characters or think they are unrealistic. I guess the expectation of realism comes with the genre, which I suppose for Ellipsis is best categorised as a 'psychological thriller' therefore expectations will probably vary in accordance with this, and some of the crazy things one of my characters is prone to doing will probably be enjoyed with the context surrounding it. And liking the characters, that's all about the story and if it gets them turning the pages. And I won't fully know that until readers get it in their hands. So I think my exhaustion has been both physical and psychological. As well as getting Ellipsis ready, I've found it hard to connect with the characters in my new novels. I guess that sounds strange but it's true. I think I've been holding onto Ellipsis a little, basking in all the work and editing it's been through to get to this point. But it's time to move on! If only I could decide which novel to concentrate on, as trying to construct both at once will only make me exhausted all over again. Don't get me wrong, I love getting lost in the plots of novels (either as a reader or a writer) - it's absorbing, exciting and fascinating. My only problem is that I want everything to be as good as possible and now, I expect my work to get to a publishable standard. I guess perfectionists are their own worst enemy, as everyone knows.